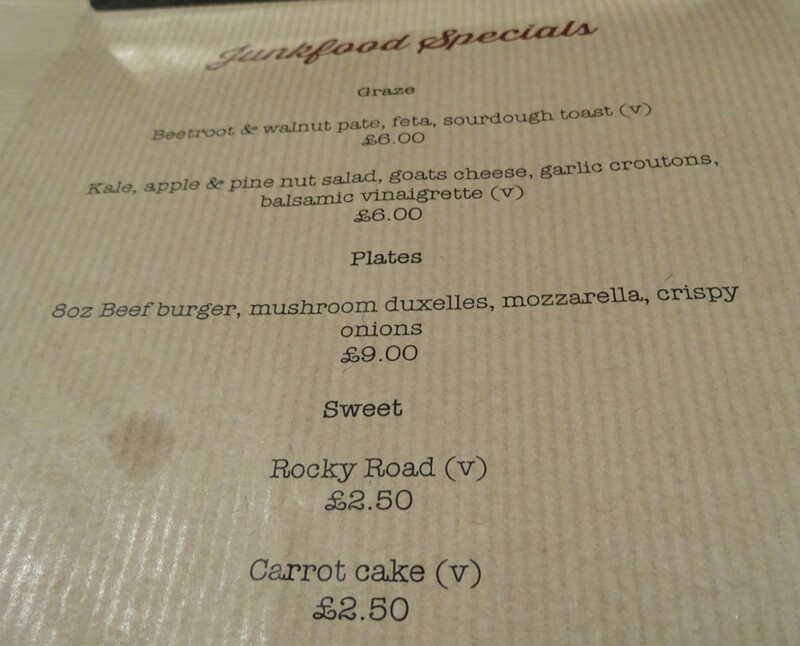 I popped into Junkyard on Sunday Evening on my way back home for a quick beer and found myself feeling peckish so I ordered a Burger from the Junkyard Specials menu. It was a pretty decent burger, actually I would go as far as to say one of the tastiest I have eaten recently. I last wrote about this place back in January after a couple of visits “Junkyard Bottle Shop and Beer House – Elevated Bar Food and some Fantastic Beers” when we had some great beer from Odell Brewery and some of the best hot wings in the city. Sadly though now they have tamed the chicken wings down and they are just not the same. I think that is a mistake, the lady behind the bar said that the diners found them to be too hot and to be fair she did offer to get us some hot sauce to go with them. Personally I would have left the recipe alone and just added a milder version as a choice for those who cannot handle a real Hot Wing. Just my opinion though. I do like Junkyard it is one of the closest bars to the ones that I have fond memories of from one of my adopted home towns Chicago. It has the feel and the vibe of an American corner street bar and is more laid back and relaxed than many other city centre bars. I never seem to be able to come in often enough to make it one of my locals which is a shame as every time I walk in through the door I enjoy the beer!